I remember the first time I discovered that paper could be transformed with a just few carefully placed folds. I was 8 years old and my Mom and I were on our weekly shopping trip at the Walden's Book store. In the bottom of a bargain bin, I noticed a Whitman Press Out Book. On it's cover it showed how you could create an entire village simply by punching out the designs, folding and adding a little glue. I couldn't wait to get it home, and try it myself! It seemed like magic that paper could become something adorable and fun to play with too! Thirty-something years later, working with paper has lost none of its magic. 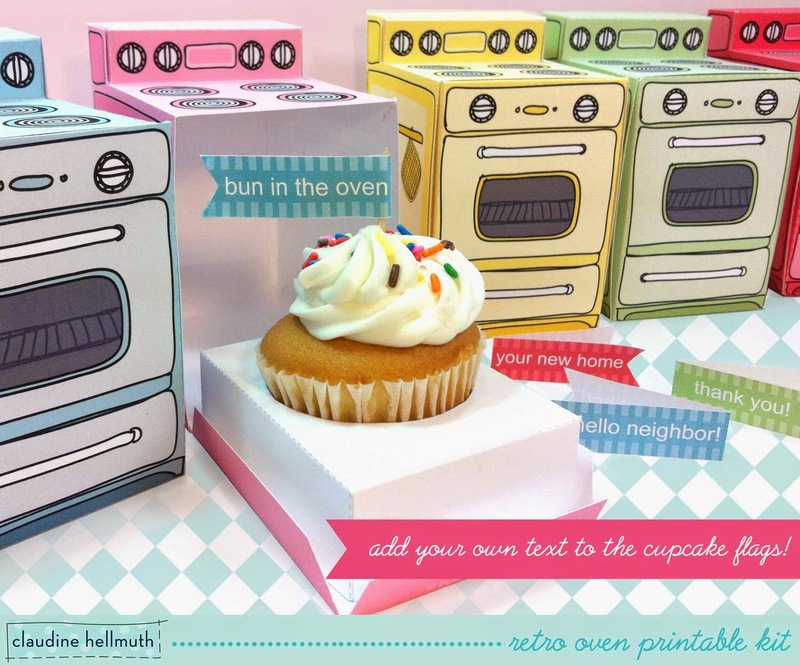 It never ceases to amaze me that I can create something out of flat paper, it can travel the globe and with a fold here and a little tape there, it becomes a cute retro-oven or ice cream truck ready to hold delicious goodies! What I love most about designing paper boxes and packaging is figuring out how to make my vision a reality. The challenge of of bringing together design elements and functionality is an exciting, totally absorbing puzzle. A from-scratch-design can take anywhere from 2 to 3 weeks to complete. Each design begins with sketches and line drawings on graph paper. Next, everything gets scanned into the computer and it's time to play with color and pattern (more polka dots please!). After a lot of paper folding, a little experimentation, and a few late nights, a new cupcake box is born! 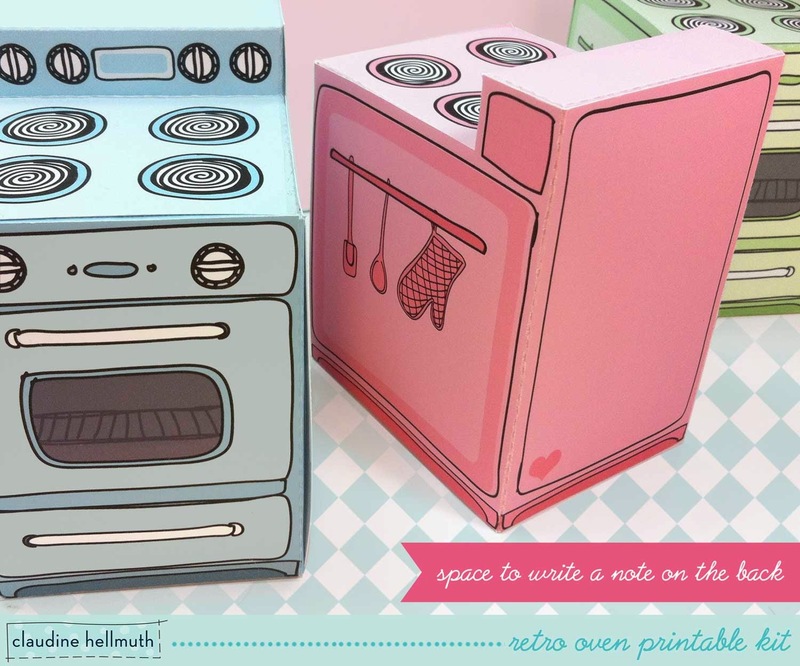 For cupcake week, I'd like to share one of my favorite and most popular cupcake boxes with you - my retro oven printable kit. When I first designed this kit I thought it would be cute and fun to have a little cupcake in an oven because that's how you bake cupcakes! I never thought this kit would be as popular as it has become my best selling kit of all time. 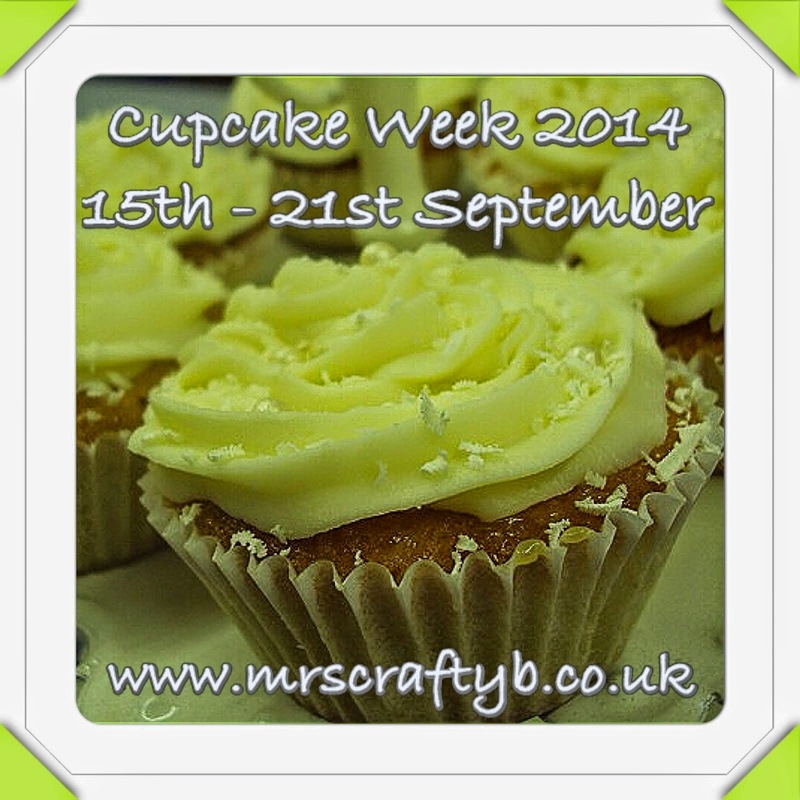 Thank you so much for visiting Mrs Crafty B Claudine!